"I'm bullish of Gold but not in US Dollar terms. Because I'm actually quite bullish of the US Dollar. I've been bullish of Gold however in Euro terms. Given the fact, the US Federal Reserve bank has moved from being contractionary to atleast modest or somewhat expansionary; that has given cover to the ECB to continued being expansionary in its policies. I think that leads to a weaker Euro. 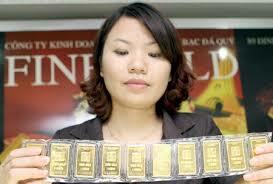 I think that leads to higher inflation and I think that owning Gold in Euro terms is the Trade of the Year."